It even has the music and sounds. After almost everyone was fired a few meetings took place. We did both, we got a few CVs. but the best one was that of David Horachek, he was in North America at the time and agreed to come to Greece and help us asses the state of the game, engine and discuss any other possibilities. Meanwhile Nektarios, Thodoris and I chopped the game up, reduced the number of locations and monsters and introduced gun play to lengthen the game, aiming to make something closer to the Lara Croft and Uncharted games in terms of gameplay. David came to Greece and looked at the engine, his conclusion in summary was: that the Theseis engine was basically an (impressive) graphics engine, but the tools we needed to make gameplay without being coders were not available and this would not allow us to finish the game in time with the current team. This was of course true, since we did all our level creation, lighting etc in 3dsmax and gameplay was handled by programmers per case (hard coded) up to that point. His extensive experience with tools informed his conclusion that developing such tools – that would allow non-programmers to make the gameplay – would take too long and we wouldn’t be able to start testing fast enough, neither would we be able to complete the game in the aforementioned deadline. Instead he proposed we look into the commercially available engines, which would allow us to start creating content as soon as possible. We looked into a few more tools and combinations of tools, but nothing worth noting. We ended up using Gamebryo to create a new proof of concept demo using the Ruined House location. We imported our assets easily, even loaded our custom lightmaps. We had Phebe walking around and able to pick up objects in a couple of days. So the time came for evaluating our prospects, we would adjust our estimation on asset creation costs, based on the excel sheets we had created and then chopped up script and David would estimate the cost of making a full featured demo and estimations for a full game. The cost proposed was a bit too much, we tried chopping up the game further, by then Kyriakos saw it as a shadow of it’s former self and thought it best to kill the project. That was it for Theseis. David went home, but the rest of us tried to put together a graphics service studio, we created a website, demos and portfolios of our work and called it track7GFX, but this wasn’t able to support all of us. In August 2009 we shut down completely. One of the last things I was doing in the office was evaluating the Unity3D engine, which had just been released for Windows – (previously available only on MacOS). Our assets worked without a hitch, lighting was exactly what we needed, there were 3 options for coding and visual editors as well. 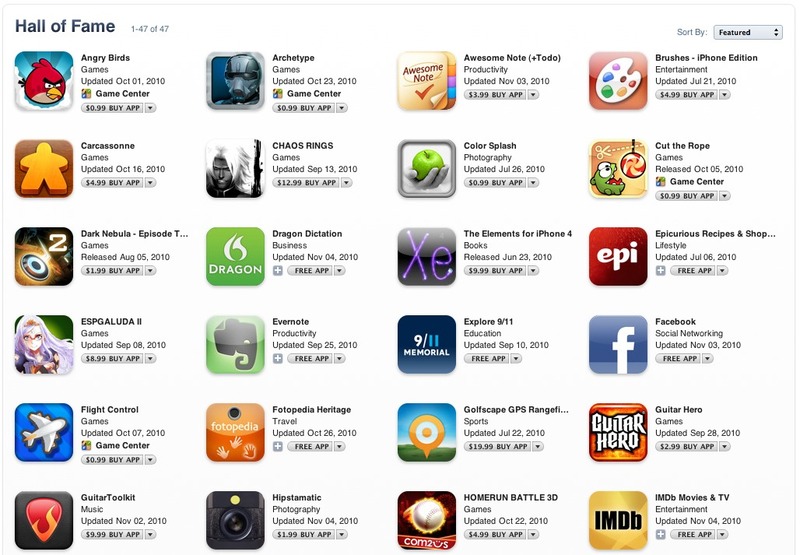 Everything was there, but we weren’t… I now have been using Unity for 7 years. Three of us went on to form our own studio, our first project together ‘Archetype’ went on to be game of the month for IGN, reached the AppStore Hall of Fame alongside Angry Birds and other early successful iOS games. Following the E3 of 2006 the decision was made that we have to focus on creating the game, that the expo just makes us focus on the wrong things. It was important that the game started getting together. Work started on the game in earnest. The Art Team started to create the various levels outlined in the script and the objects needed to make the puzzles, as well as the creation of the huge cast of mythological creatures featured in the game. Team members were added, while others left. The first addition was Vasilis Birbas (3D), as he successfully completed our Art Test. A few other artists were interviewed. 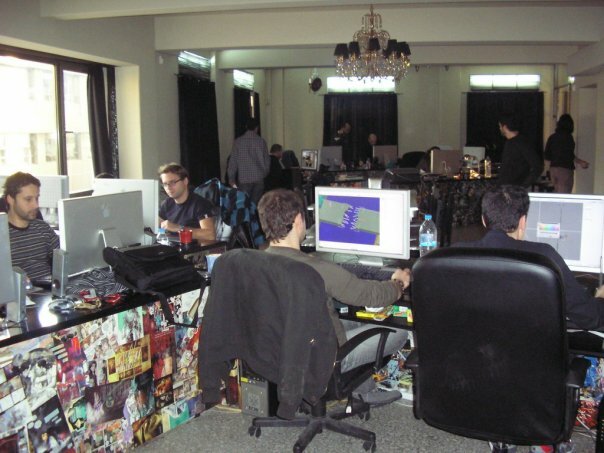 Dimitris Koskinas (3D/Textures), Nikos Moutafis (3D/Scripting) and Fotis Tsantilas (3D) were added to the team. The art style needed to stay consistent, so things were thrown out and re-done and the pipeline was fine tuned. Our tools were mostly exporters that would create files read by the engine in an attempt to avoid burdening the programming team with having to create and maintain an in-game editor, since our resources were stretched pretty thin. (This would turn out to work, but was not ideal for creating gameplay). The programming team decided that a clean re-write of the current engine was the way to go, since leading up to E3 2006 a lot of things were hard-coded into the demo. Almost as soon as this decision was made the Lead Programmer had to leave to serve in the Greek Armed Forces, leaving Michael Georgoulopoulos in charge of the programming team. As the youngest of the group I had a lot of fun at Track7 Games. One of the people I had the most fun with, was my mentor Nektarios Chionis (Concept/Textures). We had a love/hate relationship which pushed the game’s quality as well as our and our coworkers sanity. Once we got back from E3 2006, our resident Video Editor: Stefanos Koromilas made this video. Turn on Annotations for a translation to English. Basically I am being interviewed for some site and the expressions the girl interviewing me made were the inspiration for this, she suggests I am having an affair, but the affair is also with a man. I promise her that I am not gay, we then cut to a scene shot in Frankfurt, on the way back from E3, in which I am actually making fun of Nek, but my expression is used to convey a scene of confessing my love to him. It was hilarious, to this day I laugh with this video and how absurd it is. Enjoy!